The incident in Dresden in the former communist east sparked outrage which widened when it emerged the protester at the centre of the row was an off-duty police employee. Merkel, speaking during a visit in Georgia, stressed her "strong commitment to press freedom" and said that, while the right to free assembly is equally important, demonstrators must accept that they may be filmed by media organisations. 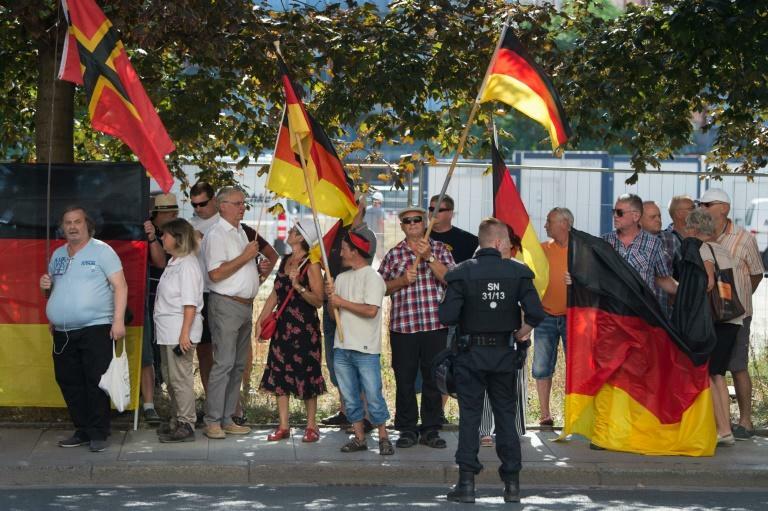 The demonstrator, wearing a hat in the German national colours, demanded "stop filming me" and wrongly claimed "you're committing an offence" before alerting police who then kept the film crew for questioning for some 45 minutes. The ZDF reporter, Arndt Ginzel, accused police of effectively acting as the "executive" arm of protest group PEGIDA, short for Patriotic Europeans Against the Islamisation of the Occident. Greens Party politician Cem Ozdemir said that "those responsible for the protection of our constitution have no place in organisations and parties that fight against our constitution, even in their spare time". Ralf Stegner, deputy leader of the centre-left Social Democrats, charged that Saxony's conservative government "has for decades denied or downplayed radical right-wing sentiment and acts of violence".